A NATO meeting started off well enough this week in Brussels, but quickly became derailed when the subject of Russia came up. Russian Premier Vladimir Putin, who was not there as Russia is not a NATO member, nevertheless dominated events when he used a minor underling present at the meeting to communicate to the German leader Angela Merkel that she was at Russia’s mercy. When asked for details on the man he used to convey his message, Putin indicated he was hardly worth mentioning. 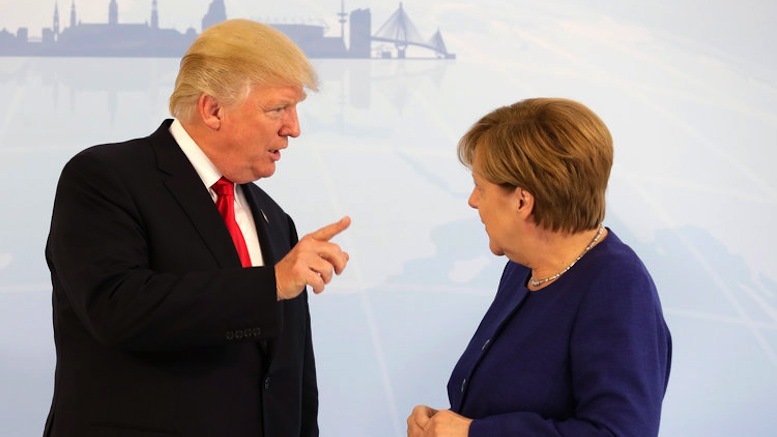 2 Comments on "Putin Uses Minor Underling To Remind Germany It Is Captive To Russia"
How dare Trump shake his finger in the face of Angela Merkle. Ok, now that is funny. And true.